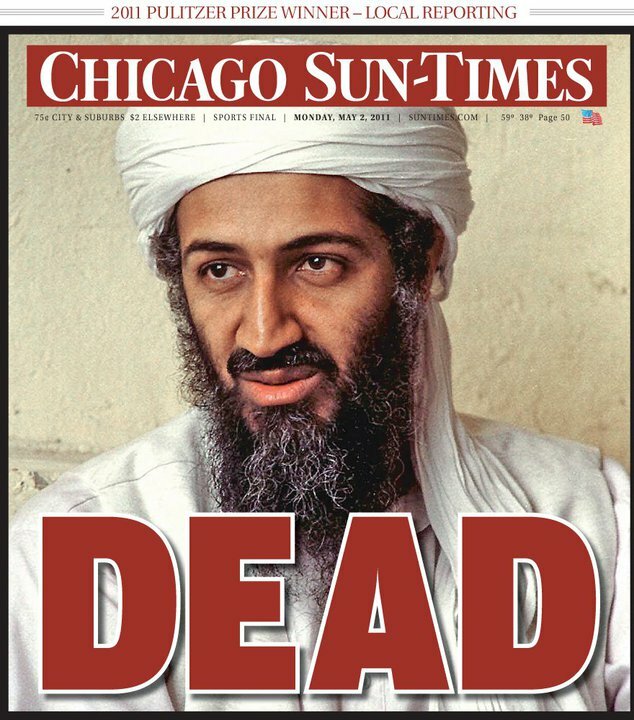 Since the Obama Campaign released the ad touting President Obama‘s decision to take out Osama Bin Laden; Democrats and Republicans have criticized the ad as politicizing the death of Bin Laden. Accusing the administration of unfairly using that moment for the benefit of President Obama re-election bid. Senator John McCain said Pres Obama should be “ashamed” for politicizing the Bin Laden’s death. For Republicans to talk about politicizing a moment may I remind them of President George W. Bush and the color coded terror alert system after 9/11… Leading up to the election in 2004 it seemed like the terror alert was being raised to create fear. At the same time Republicans portrayed Senator John Kerry as being weak on defense and a vote for him was a vote for weakness. Now that’s a SHAMELESS act, Kerry was a decorated veteran but that didn’t stop Republicans. Republicans have always looked to portray Democrats as being weak on defense; remember Jimmy Carter and Michael Dukakis??? There is nothing wrong with President Obama reminding the American people that he is more than capable of making the tough decisions. I hope the campaign stays the course with this ad, credit where credit is due! We all know without a doubt that if Navy Seal Team 6 had failed to get Bin Laden Republicans and Mitt Romney would be exploiting that in attacks ads every day. As for Democrats like Arianna Huffington, MAN UP!!! Jean Claude Van Damme + Dancing with the Stars = GOLD!! !